My Wedding Wish – today! eeeeeeekk! It’s on today! My Wedding Wish’s latest gifted wedding at the gorgeous AnnaBella Chapel – with the reception at the iconic Sunshine Castle at Bli Bli. 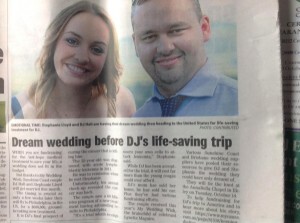 Steph and DJ will be married today by the beautiful Suzanne Riley, Celebrant in front on their closest family and friends. My Wedding Wish is a project started in 2013 where wedding suppliers on the Sunshine Coat pull together to donate full white weddings to couples facing terminal or life threatening illnesses. DJ was diagnosed with Acute Lymphoblastic Leukemia – has daily chemo, yucky bone aspirations and lots of other ongoing treatments. He’s only 25 – this is so unfair! 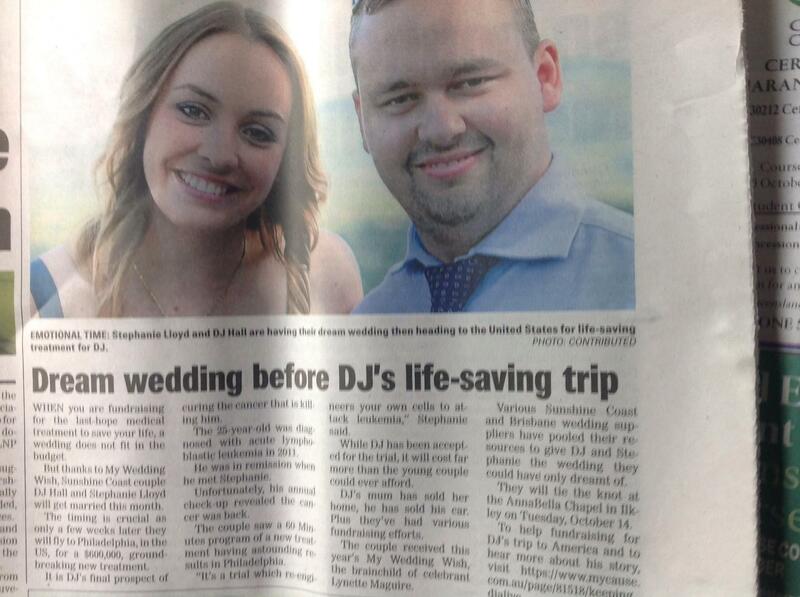 DJ has been accepted into a new medical trial in Philadelphia and the couple are seeking donations to help him get there asap. Check out how you can help by reading the article below.